If you’re looking for a reliable plumbing, heating, and air conditioning company in Convent Station, NJ, call Rite Rate! We have a team of expert contractors that are licensed and insured to service all commercial and residential HVAC and plumbing systems. At Rite Rate, we offer installations, replacements, repairs, and maintenance. There’s no job too big or too small for our team from unclogging a toilet to heating repair in Convent Station, NJ! Don’t hesitate to call our plumbing, cooling, or heating company for a free estimate! Do you need a new furnace installed? Is your hot water heater or boiler not working? Rite Rate is an affordable heating company in Convent Station, NJ! 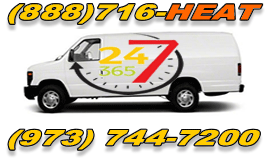 We can provide you with 24/7 heating repair, new heater installations, replacements, and maintenance. Regardless if your boiler or furnace is broken, we’re here when you need 24-hour heating repair day or night. Our heating company can also replace worn out heaters and their components and install new furnaces, boilers, and hot water heaters. There’s nothing we can’t do when it comes to the heating system in your home or business! Rite Rate offers the best air conditioning services in the area. Our contractors are highly skilled in air conditioning repairs, replacements, maintenance, and installations. We cover everything from ductless air conditioning installation to central AC repair! Should you need emergency air conditioner repair, call our air conditioning company anytime 24/7. Rite Rate arrives quickly and restores your air conditioning system to working conditions so you can enjoy cool air. Give our air conditioning company a call for a free quote! Is your main sewer line backed up? Do you need a new faucet installed? Did a frozen pipe burst and now it’s flooding your kitchen or bathroom? Whether you need residential or commercial plumbing, Rite Rate is the go-to plumber. We specialize in 24-hour plumbing repair, plumbing installations, and plumbing replacements. Rite Rate can service all makes and models of faucets, sinks, drains, pipes, toilets, showers, bathtubs, and sump pumps. Call us for anything from drain and sewer cleaning to pipe repair!